Brick pillars frame the gateway that opens to this tree lined drive leading to this stunning two- time Marin Designer Showcase Property. 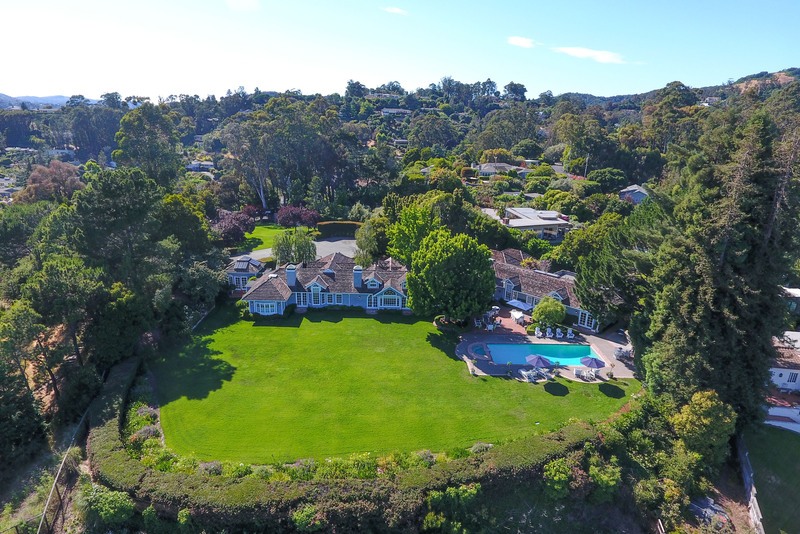 Sited beautifully on over 1.5 level acres, the exclusive Country Club estate boats sprawling level lawns, regulation tennis court, gardens, large entertainment patio with outdoor kitchen, pool and spa, all-encompassing breathtaking panoramic Bay to Mt Tam vistas that include Richmond and Bay bridges along with islands, ships and sailboats. This is truly a family compound built for indoor/outdoor resort living year around. Taken down to the studs and rebuilt in 1986, the over 6,000 square foot one-story residence has been remodeled since that time and expanded under the guidance of famed architect M. Dean Jones. The formal living and dining rooms feature high beamed ceiling, arched windows and French doors that open to the expansive grounds. The gourmet kitchen connects good food and good friends with large conversation/prep islands, skylights, top of the line appliances and cozy breakfast bay. The family/media room opens to courtyard, pool, spa and patio. The adult wing includes a romantic master suite, with his and hers baths and closets, office, indoor spa and separate guest suite. The children/guest wing features three en-suite bedrooms, kitchen/laundry and exercise room.